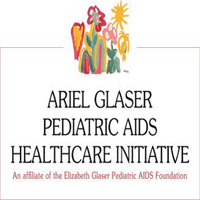 The Ariel Glaser Pediatric AIDS Healthcare Initiative (AGPAHI) intends to recruit an Administration Officer and Office attendant for Tanga office. The Administration Officer is responsible to administer and oversee essential administrative activities in Tanga office. Welcome all visitors and ensure that they sign the visitors Book. Ensure that all visitors are correctly referred and attended to on professionally manner and that at all times there is someone at the reception. Answer/redirect telephone calls, taking messages, receive/assist visitors and ensure that the Switchboard is manned at all times. Maintain reception information/literature, man fax and general email service and handle unsolicited requests for employment. Keep the reception area tidy and welcoming during office hours and ensure always there is someone at the reception. Monitor the official stamp usage to avoid personal usage. Acknowledge receipt of all incoming mails, register the same and channel to responsible official for action. Facilitate Hotel and flight booking for Project office staffs. Ensure office and kitchen supplies are available and issued as per AGPAHI procedures and requirements. Manage project office petty cash and ensure petty cash payment requirements and procedure are adhered/followed. Maintain the Staff Movement board at the reception to ensure that the daily whereabouts of staffs are recorded. Prepare Admin weekly status reports and send to HR and Admin Manager on every Monday. Coordinate cleanliness and organization of office premises and surroundings. Oversees the use and maintenance of the office equipment including the photocopier, fax, binding machine to ensure that they are in working order and report of any default. Oversees proper running of utilities for the building such as electricity, water and proper function of telephone lines. Organize for receipt and delivery of mail / sends and receives faxes. Carry out other secretarial duties as assigned by the HR and Administration Manager, which may include: Maintaining contact database, maintaining resource library, hotel and air reservations, drafting letters, program report consolidation, and other duties as needed and appropriate. Ensures vehicle usage and fuel log reports properly completed, signed, and reports are sent to Dar office on a monthly basis. Undertake the procurement of goods and service locally, as much as possible as per AGPAHI requirement. Coordinates use of all AGPAHI vehicles and Drivers activities with the collaboration of Regional Program Coordinator. Liaises with vendors to ensure proper goods and services are provided to Field Office. Ensures all procurement policies are properly implemented and adhered to. Maintains/updates Staffs Leave records and ensure all leaves are properly documented for Project office staffs. Maintain and update staff attendance register and ensure it is shared with HR department on monthly basis. Monitor staffs attendance at the office and inform management of any incompliance. Ensures all HR policies and procedures are properly adhered to. Managing compliance and risk management at the Tanga office. Enhance performance of quality output in all associate administration officers’ roles. Enhancing customer engagement and relationship management in your work. Supervise program drivers and an office attendant at Tanga office. 2-3 years’ experience as an Office Administrator. Previous experience in working with NGO sector is required. Ensure that office supplies like cleaning materials, coffee, tea etc are economically utilized and available whenever required. Report security problem to supervisor immediately when there is any problem. Please mention the title of the position in your email and do not attach any document other than the CV and cover letter.